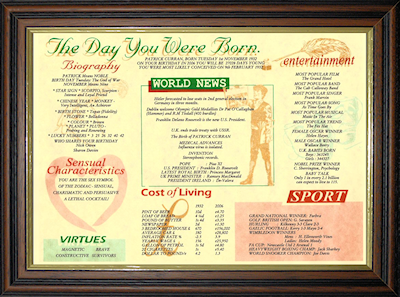 At a great value price, this economy framed version still provides the same news and events details, including option for your own greeting. Dark Rosewood Style Frame shown in a Blue/Pink certificate format. 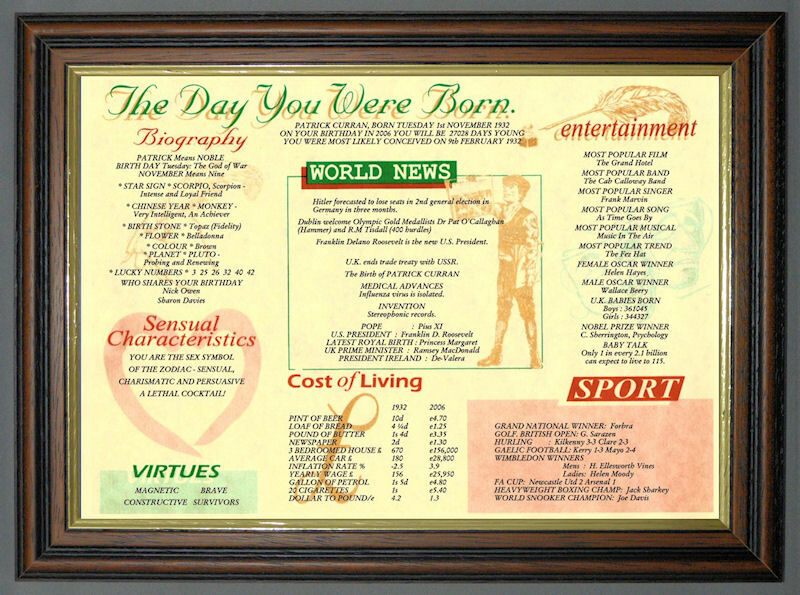 One of our most popular products, this Irish Day You Were Born Birthday Certificates provide a wealth of information from just a name and date of birth. 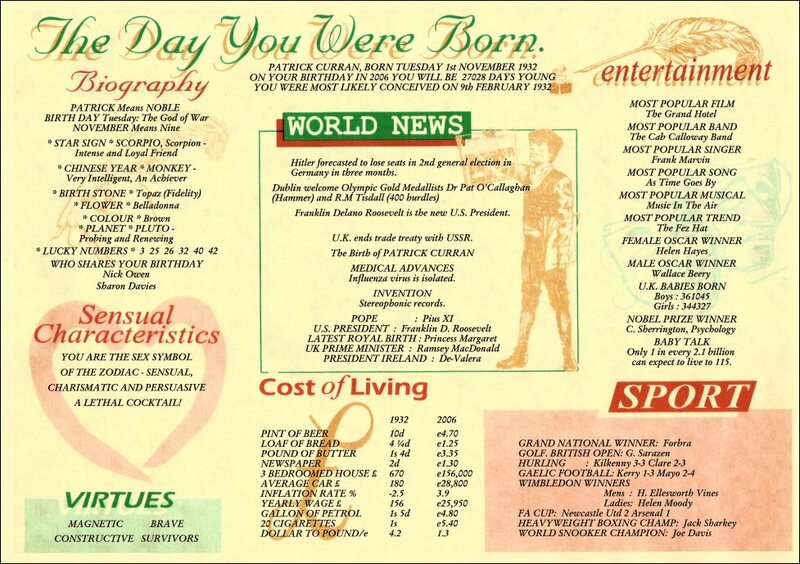 Includes Irish news events, cost of living comparison, Taioserch/Irish PM, Irish President, Reigning Pope, Sport including Gaelic Football & Hurling. See Ireland Gift Details for more information. 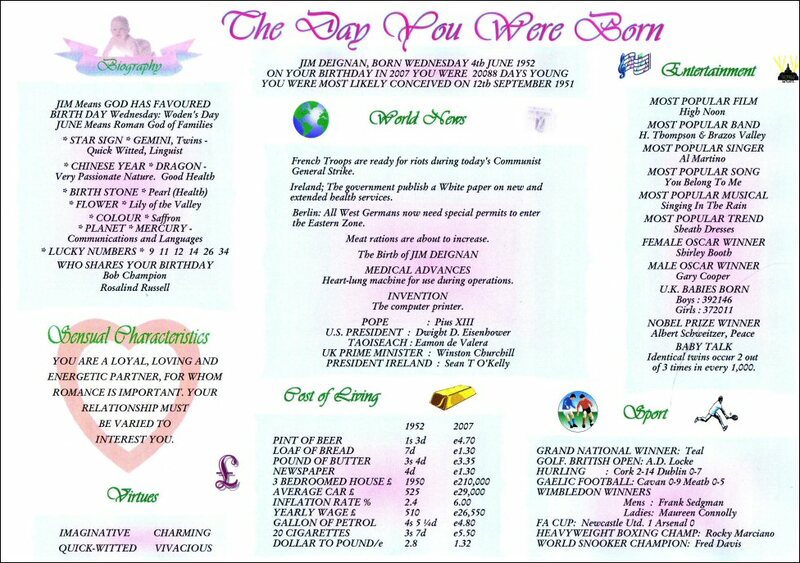 IRELAND THE DAY YOU WERE BORN GIFT IDEA - POSTED FAST! 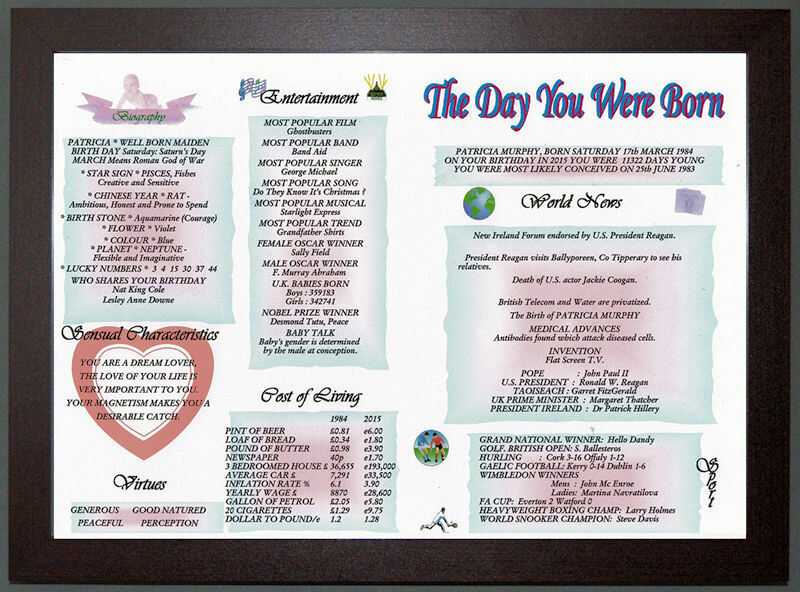 Choice of Quality Frames (View More Frames) - Premium Traditional Teak shown . Irish Certificate available in Green (shown), Blue/Pink, or Orange. 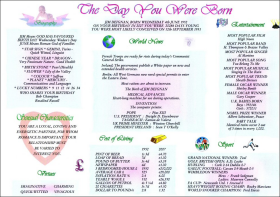 Laminated Irish Certificate available in Blue/Pink (shown), Green, or Orange. Standard Frame. Picture shows Gold. See View Frames for more choices. Irish Certificate available in Orange (shown), Blue/Pink, or of course Green. 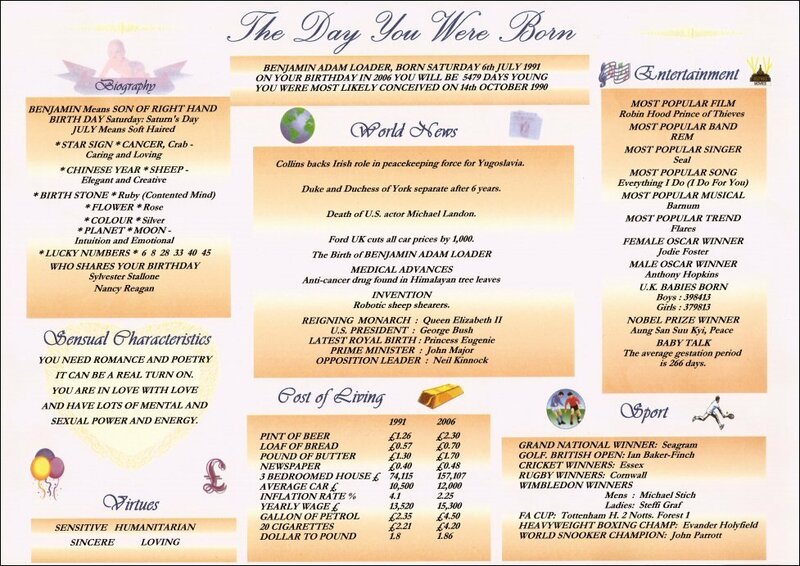 A unique personalised Irish gift idea for loved ones, family friends, and colleagues; IRISH DAY YOU WERE BORN certificates are a great present for birthday, Christmas, father's day, mother's day, valentine, or indeed just about any special occasion - including treating yourself! 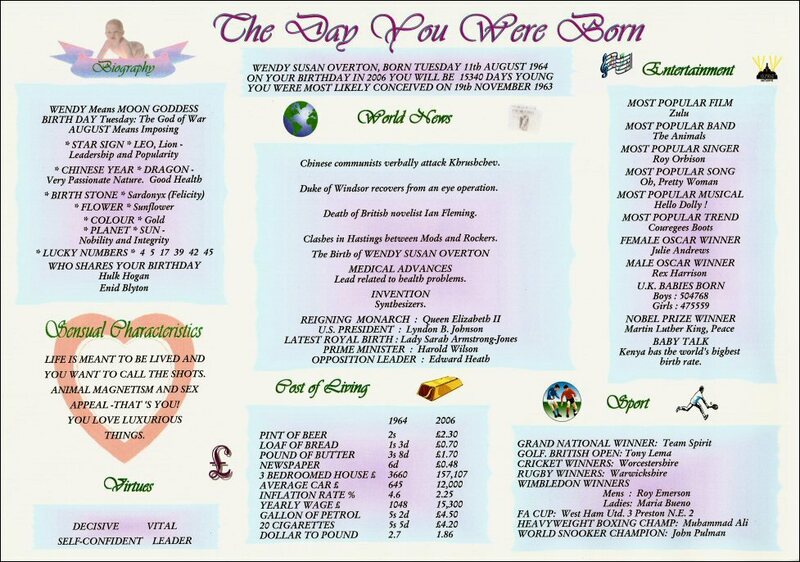 Irish Day You Were Born Gift Certificates are available in three colours:- Orange, Blue/Pink, or Green with Green being an obvious popular choice. 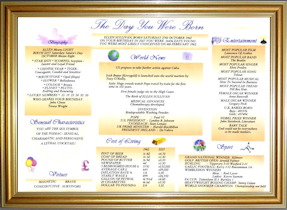 A wide choice of quality frames are offered, from our Premium range to an Economy version - cheapest for posting by Airmail to Ireland. Frame & version choices are all available when you select the 'BUY' button. 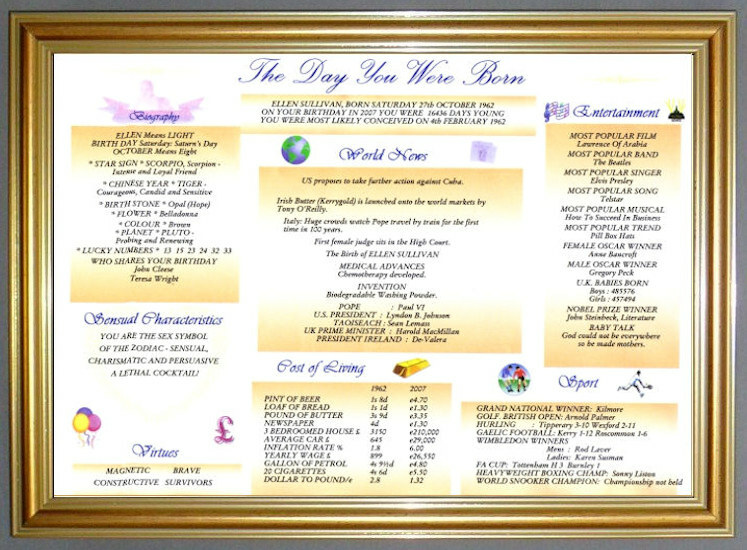 You can also upgrade a laminate certificate to a large A3 with mount version as an extra via OPTIONS button above. If Delivery is to Ireland use EIRCODE as postcode, or insert 'NA' (Not Applicable) in cart for postcode. GREAT IRISH GIFT IDEA - CAN POST AIRMAIL TO IRELAND & USA. NOVEL & UNIQUE - BIRTHDAY & ST PATRICK's DAY (17th March) PRESENT!